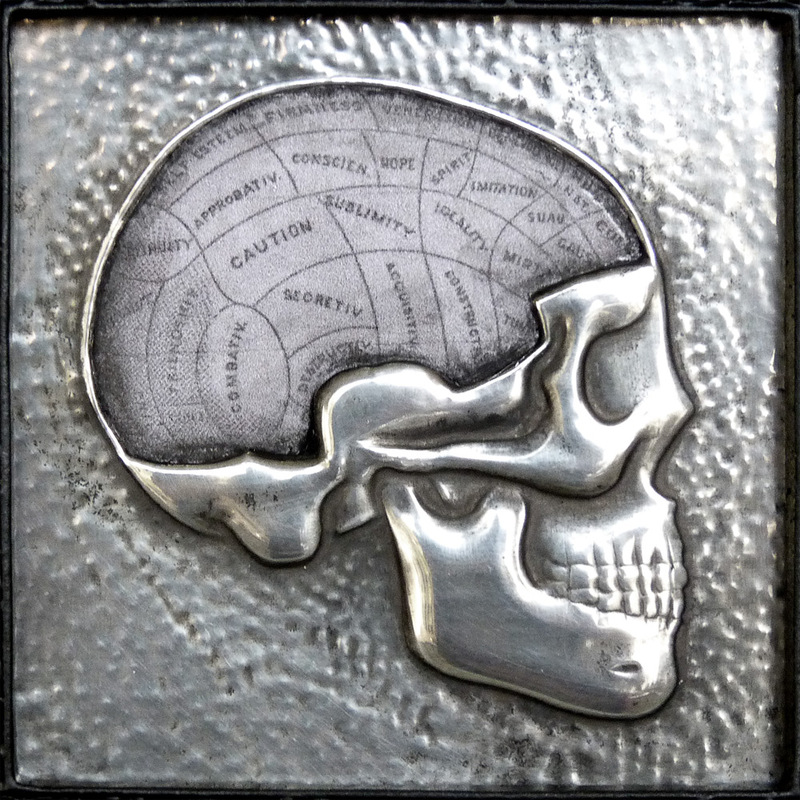 Frame: 12cm x 12cm x 1.2cm / 4.6" x 4.6" x .5"
Embossed panel: 7cm x 7cm / 2.7" x 2.7"
Phrenology was a pseudoscience, popular in the mid 19th Century, that suggested one’s personality and character could be predicted by delicate measurements of the skull. 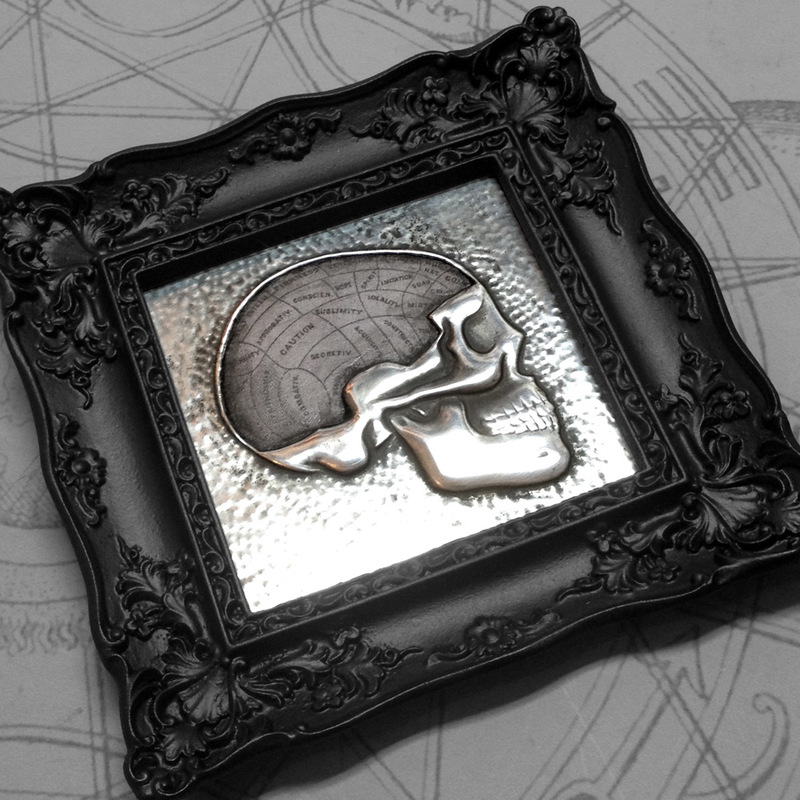 It was a primitive form of neuroscience that would eventually be discarded, though thankfully for collectors of vintage curiosities, it left behind a legacy of gorgeously detailed phrenology busts. 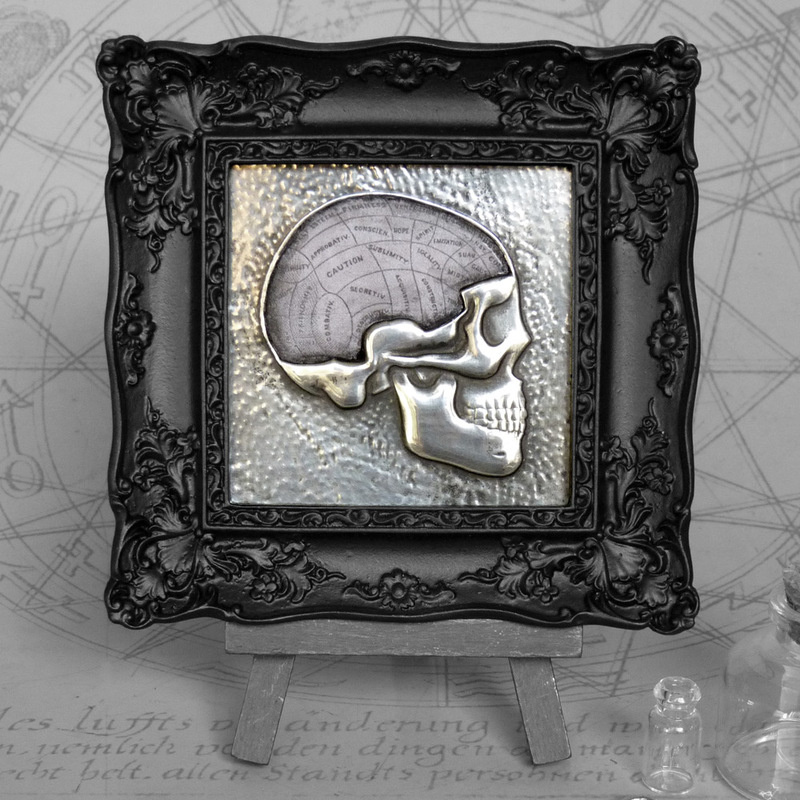 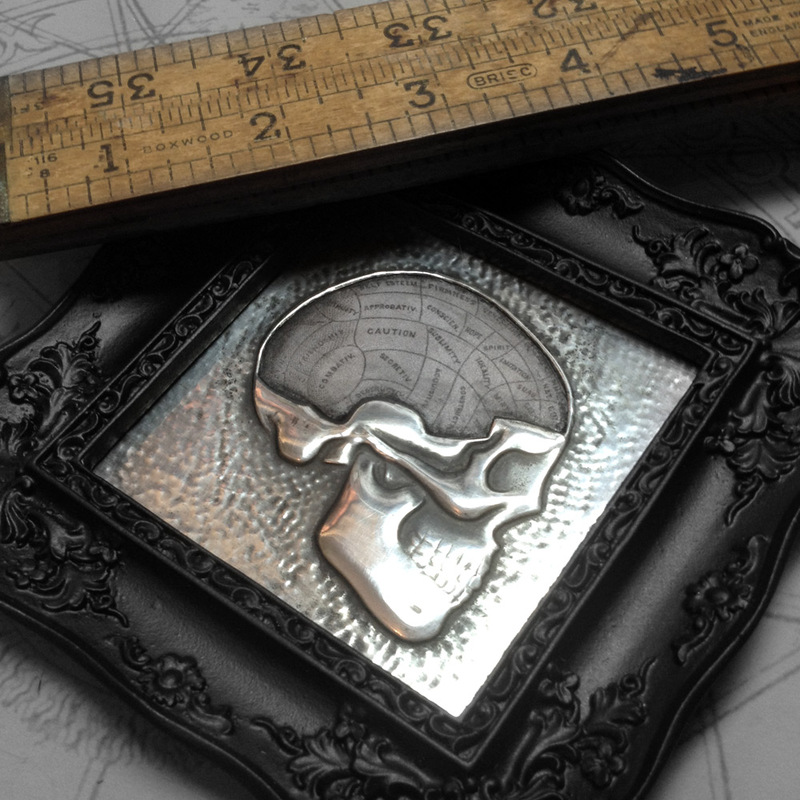 For this piece I have embossed a skull and cut away the metal in the brain area to reveal a vintage illustration, showing the areas of the brain that were supposedly responsible for different kinds of thoughts and character traits. 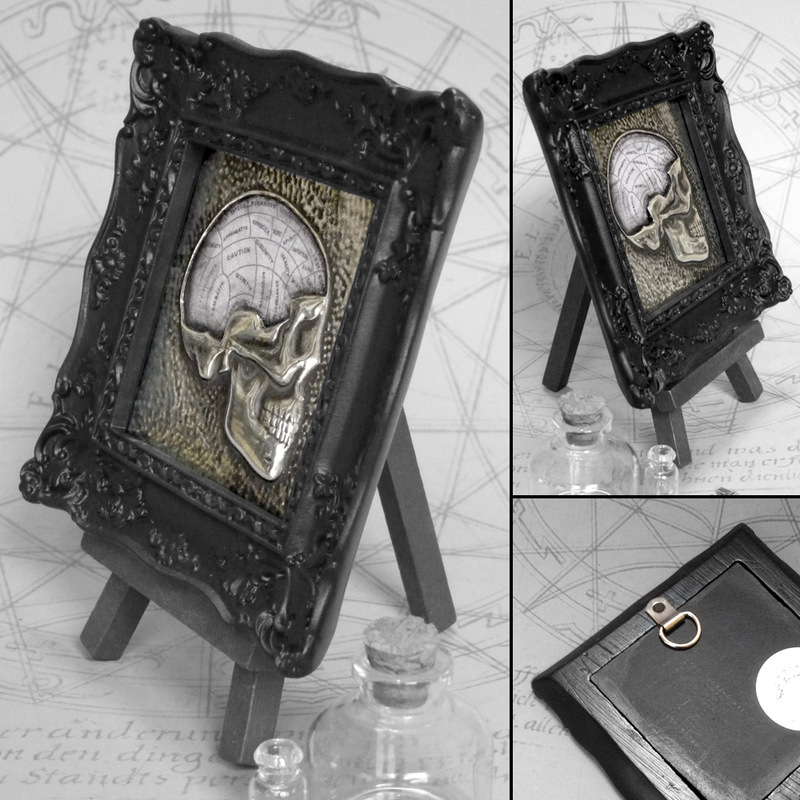 Antiquing wax has been rubbed into the edges here and there, and it has been framed in an ornate black resin frame.